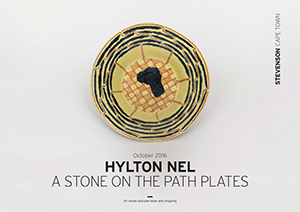 Hylton Nel describes himself as an 'artist-potter' which aptly refers to his interest in painted imagery as well as form and function. Over the past five decades he has developed a style of work that is rich in references to the decorative arts and literary and art historical sources. His plates, bowls, vases, plaques and figurative pieces are idiosyncratically decorated with witty - and sometimes poignant - line drawings and script. His imagery ranges from penises to Madonnas, cats to angels, and his quotes are drawn from poetry and the daily press as well as his observations of the world around him. He lives on the outskirts of Calitzdorp, a small town in the Klein Karoo. 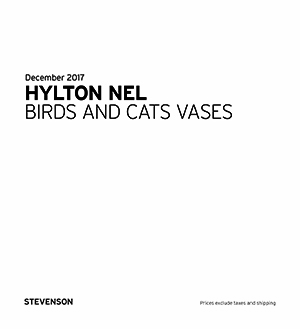 To view previous works see Nel's archive page.